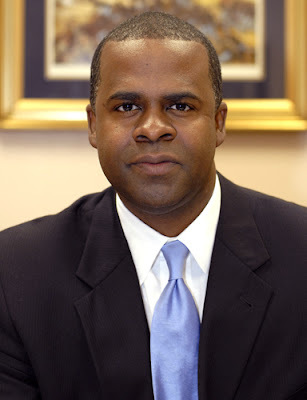 (AJC) Joe Beasley, the southern regional director of the Rainbow PUSH Coalition, on Tuesday called on Atlantans to oust Mayor Kasim Reed from office because of what he calls the mayor’s overreaction in his standoff with protesters occupying Woodruff Park. Reed announced he would revoke an executive order that has allowed them to stay in the park more than two weeks, and protesters held a news conference Monday night to take on Reed and Atlanta Police Chief George Turner. “I’m just really appalled to see this massive police presence, so we’re calling on the people of Atlanta to recall Mayor Reed for malfeasance in office because he is abusing the taxpayers’ money by having this massive show of force when it’s not needed,” Beasley said Tuesday. Beasley said he does not believe that the mayor’s plan to have members of the clergy talk with the protesters will bring an end to the occupation of the park. "We have to let the mayor know he didn't get into office by himself," Former City Councilman Derrick Boazman said. He added, "(We have) a black police chief who sounds like Bull Connor." Connor was the public safety commissioner in Birmingham during the civil rights movement. Atlanta police recruits, dressed in white T-shirts and blue pants, began erecting barricades around the park Monday afternoon after Reed said he would at some point void his order allowing the protesters to remain in the park until Nov. 7. Reed did not give a time when the order would be revoked. He did say, though, that it would be at his choosing and that the city's Police and Fire departments would be ready to clear the downtown park at his command.